"Eggington has been stopped only once so far but that second-round TKO to little-known Sam Omidi highlighted the weaknesses in his defence"
We have a fascinating all-British battle at super welterweight this weekend as Liam Smith and Sam Eggington meet over 12 rounds at Liverpool's Echo Arena, live on Sky Sports. With both men suffering painful defeats recently, this bout doubles as the chance for one to save their career at the top level. Fight fans have been spoiled for choice already this year with some classics from America, but this is a domestic dust-up that will get viewers excited from the first bell. So much is on the line for both men but Betfair traders think it's Smith who will be cheering at the end, and they're pretty convinced they're right too. 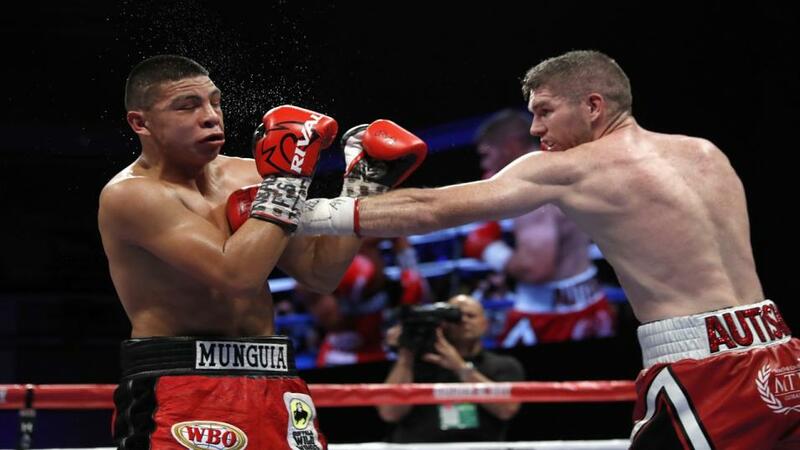 Liam Smith aims to get back on track after losing to Mexican Jaime Munguai in Las Vegas last time out when contesting the WBO world title. The Tijuana warrior looks something special and his record now stands at 32-0-0 with 26 knockouts. It was widely predicted he would add Smith's name to his list of KO victims but, even in defeat, Liam showed his strength, going the distance and forcing the scoring judges into action. The Englishman was well beaten on the cards, the final tallies reading 111-116, 108-119, 110-117 but he came out of the night with credit, as well as a host of new fans. That was Smith's second loss in a 29-bout career that can be traced back to 2008 and it's easy enough to forgive the other, coming at the hands of Saul Alvarez in Arlington almost three years ago. Canelo scored a ninth round KO that night, but he was made to earn his win by Smith, cut early in the contest. A clash with Eggington represents a step down from Munguai and Alvarez and Betfair traders are confident Smith's class will show. They have him no better than [1.11] for the win on the Betfair Exchange. A KO/TKO is 1/2 in the method of victory market, the points result 9/4, both quotes taken from the Sportsbook. Sam Eggington makes the trip to Liverpool from his Stourbridge base looking to rescue a career that has been dented by two defeats in his last five outings. The 25-year-old dropped a split decision to Mohamed Mimoune in Manchester with the European title on the line in October 2017 before being stopped in two by Hassan Mwakinyo at the Arena Birmingham in a shock result last summer. Eggington's CV now shows 24 wins, 15 inside the distance, against five defeats, one KO. The Savage returned to winning ways last time when beating Sam Omidi (6-18-3) over four rounds in a bout designed to help recover his sharpness and get him ready for this one. It was a simple night's work, winning 40-35, dropping his opponent in the final round. He'll face a much tougher test here, that's for sure, and the Betfair Exchange users write him off as a  underdog, the draw trading at [27.0]. Eggington is drinking in the last chance saloon but he can call upon a 52% knockout average and will always be dangerous while in this fight. There's 10/1 on him stopping Smith through the Sportsbook, 14/1 for a points win that'll upset the bulk of the crowd. It's easy to like Sam Eggington and he really is living the dream as a fighter. Nothing was expected of him when turning pro, but he worked hard and pushed himself towards major titles, achieving more than most in the game. Boxing is all about levels, however, and we will see that here when Smith proves what he has learned from sharing a ring with the likes of Canelo. Eggington has been stopped only once so far but that second-round TKO to little-known Sam Omidi highlighted the weaknesses in his defence. It's unlikely he would've improved too much in the six months that has passed and we're taking Smith by KO/TKO at 1/2. The home fighter getting the result in the first six rounds appeals at 7/4.